DODGE NITRO BOOT LINER. 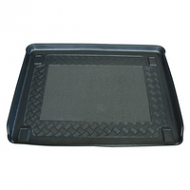 Designed with antislip centers and lipped edges, these liners stop damage from spills to your car. Dont wait for damage to occur order your boot liner for the dodge nitro today.